Dinosaur Comics - January 23rd, 2008 - awesome fun times! 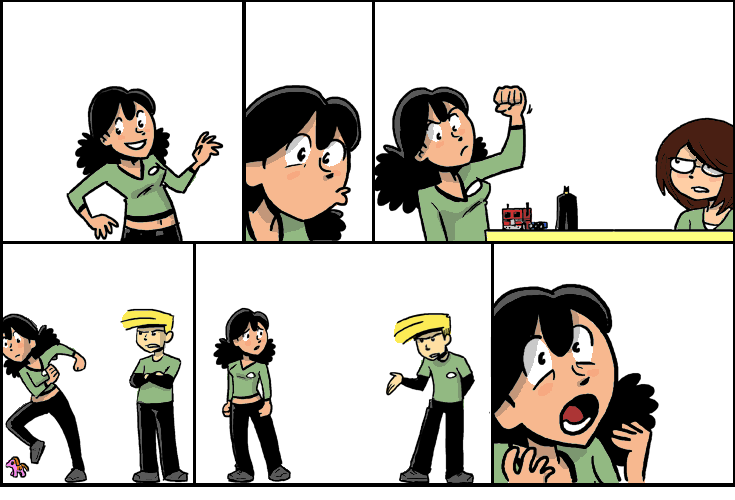 January 23rd, 2008: I was lucky enough to do a guest comic for John Campbell, who is currently insane enough to be doing an Hourly Comic for a month. My comic is here! As suggested in the comic, my creepy interest in John goes way back. Also your friend and mine Joey Comeau of A Softer World Dot Com did a great comic too! As did KC Green! And Aaron Diaz! One year ago today: "a rose by any other name would smell extra cool" -WILLIAM SHAKESPEARE? ?